Want to sew cute children’s clothes? 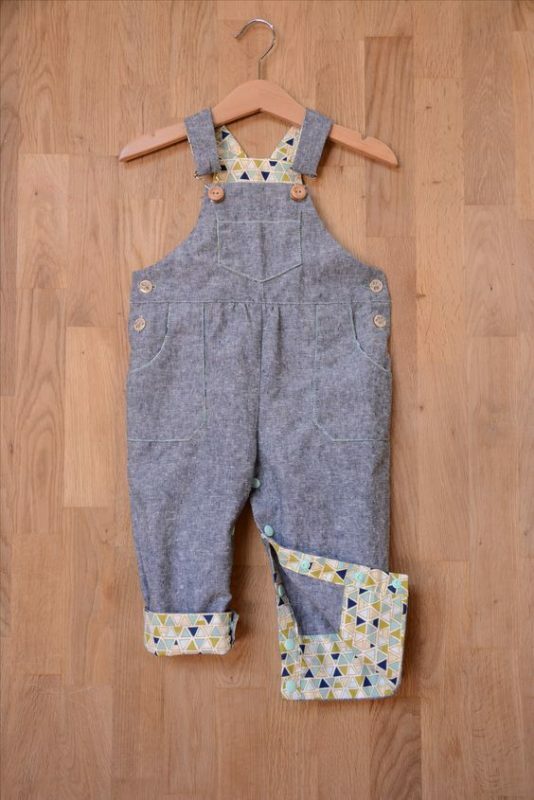 Come to our Dungarees Class and learn to sew these adorable unisex dungarees. 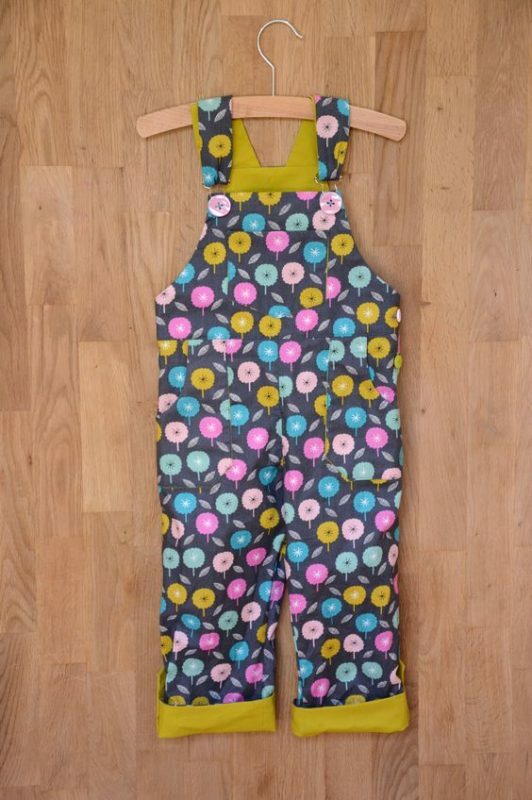 Using the Two Stitches Frankie and Freddie patterns, you can choose whether to make a trouser or skirt-bottomed pair of dungarees. 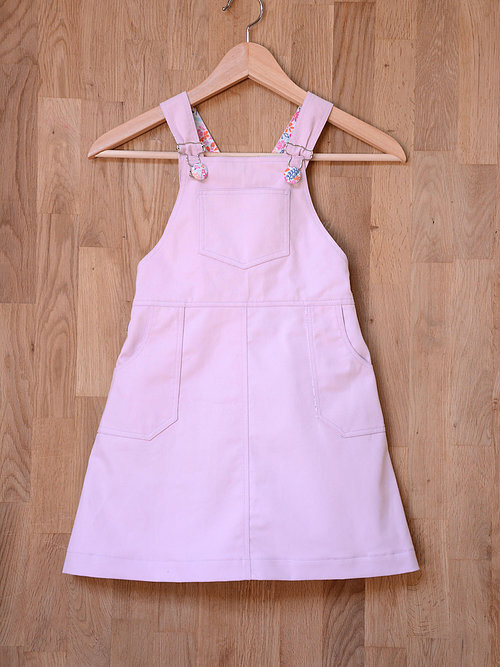 Frankie is for ages 6 months to 2 years and features practical snap fasteners on the inner leg, an elasticated back waist, and space for nappies. 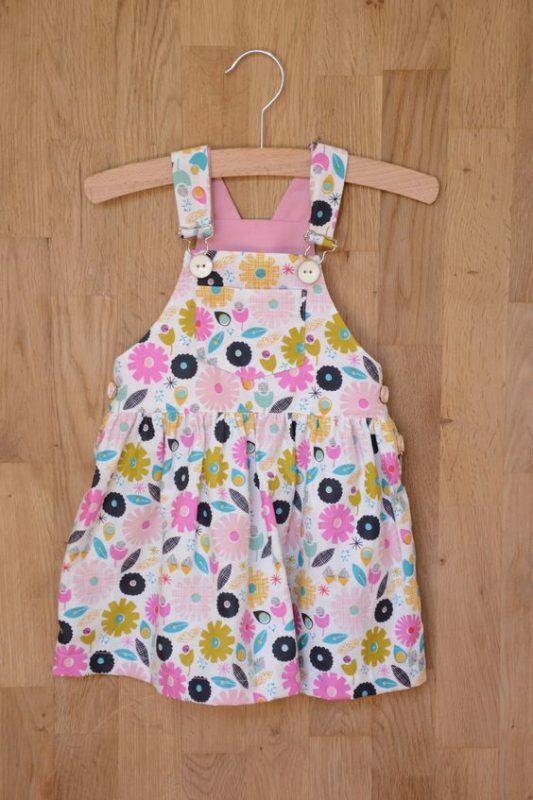 Freddie is for ages 3 – 9 years, with contrast facing for straps, bibs, pockets and turn-ups. Our sewing classes are relaxed and friendly, taking place at our beautiful studio at Holme Grange Craft Village in Wokingham, Berkshire. 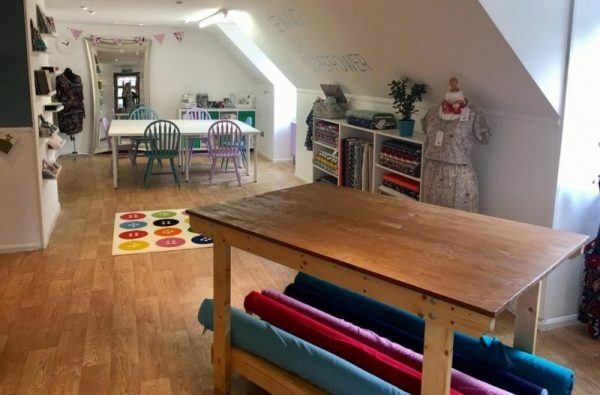 You’ll get to use our brand new digital Janome sewing machines and class sizes are capped at six to ensure everyone gets the time and attention they need. 1m medium weight woven fabrics, such as cotton, cotton blends, linens, denim, needlecord, plus 0.75m of contrasting fabric for the lining. 2m medium weight woven fabrics, such as cotton, cotton blends, linens, denim, needlecord, plus 1m of contrasting fabric for the lining. 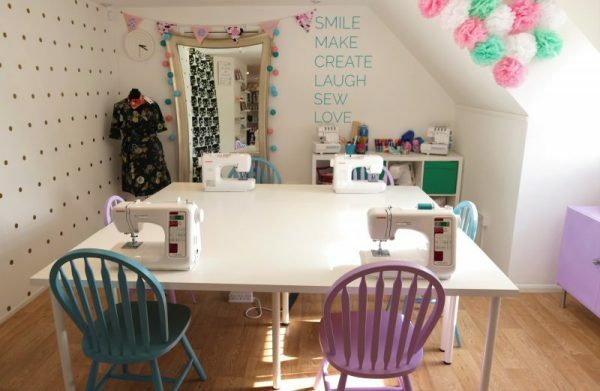 The class includes expert instruction, use of the Janome machines, tools, threads etc, your own copy of the Freddie or Frankie pattern so you can make again at home plus tea, coffee and lots of biscuits!